Some kitchen knives go well with a wooden sheath or scabbard. 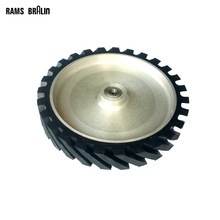 This protects the blade from abuse in the cutlery drawer and it protects hands and fingers from what can be a very sharp blade. For a Japanese style knife, I like to call these wooden sheaths saya. Saya are commonly seen covering swords, but you can also find smaller versions protecting modern-day kitchen knives. 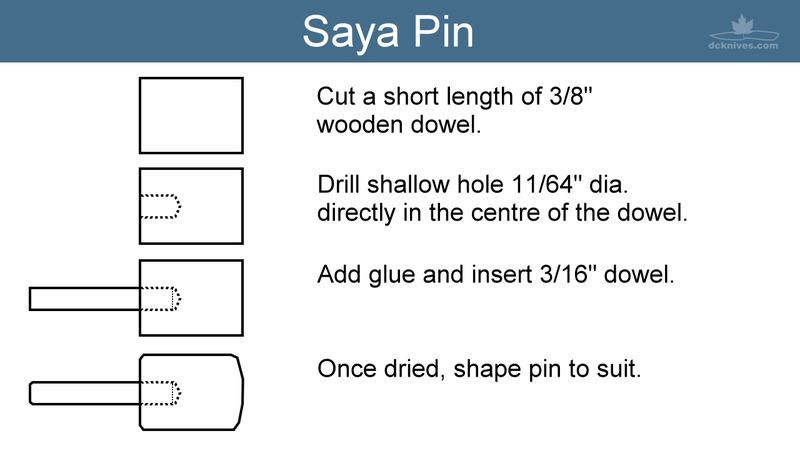 The knife is inserted into the saya and held in place with a small pin. 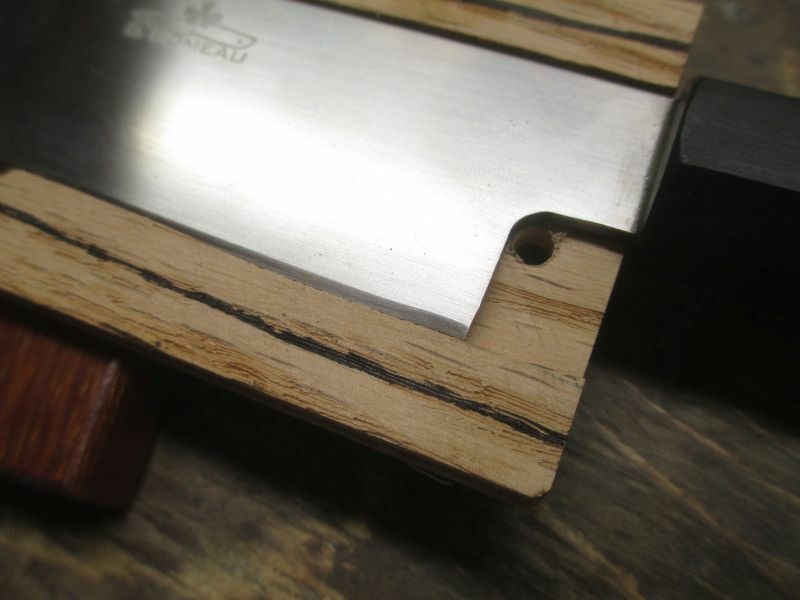 The traditional method of saya making is to use two pieces of wood where a place for the blade is hollowed out with chisels and gouges. 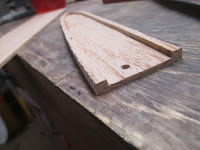 The laminate method I use involves three different layers that are glued together to form a single piece with a pocket for the knife blade to fit into. Kitchen knife saya are made of a variety of different woods, namely magnolia and cypress, but I am inclined to use more native woods to where I like such as maple and oak. As I am a fan of re-using things, I go looking for suitable pieces of interesting wood used in old pallets, broken furniture and so on. 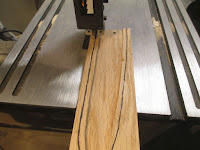 One interesting result of using the laminated method is that the centre lamination can be a contrasting wood, for example walnut sandwiched between two pieces of maple. Once you have a piece of wood about 1" thick and about 1" larger than your blade, we can begin. Here I have cleaned up a piece of Eastern Maple from a old pallet. 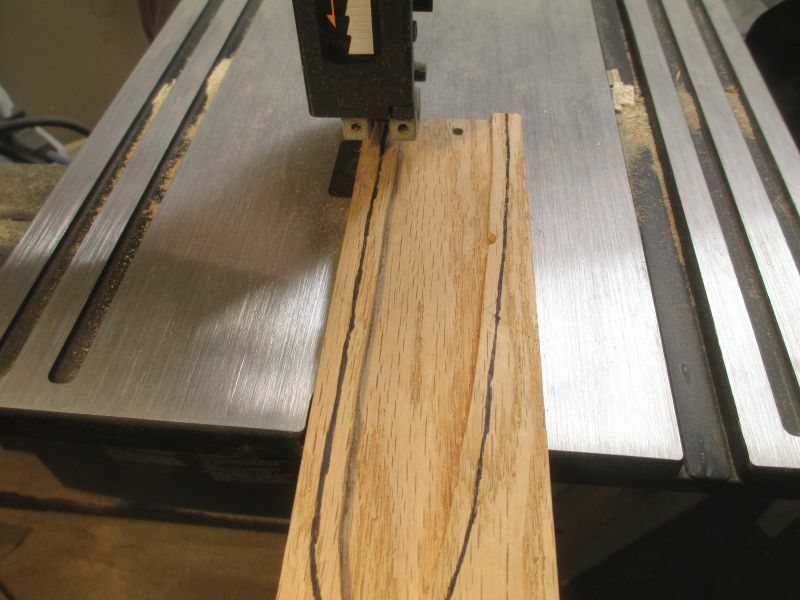 I ran it through the thickness planer to get the faces smooth and evaluate the condition of the wood. Looks okay! 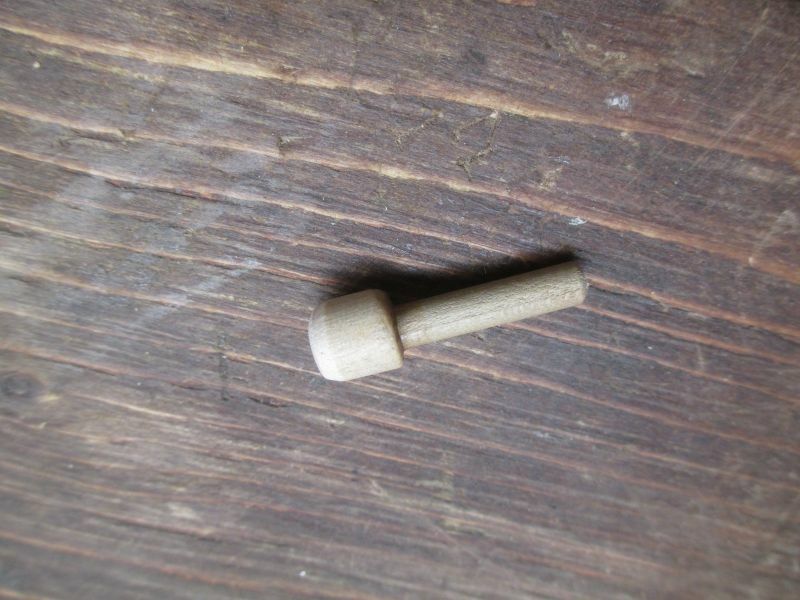 I set my fence on the table saw to take a tiny 1/8" to 3/16" slice off the piece of wood. Although you could set your fence to more to the right and slice off the left side of the main piece, I find the skinny way is easier as I don't have to adjust the fence after every cut. 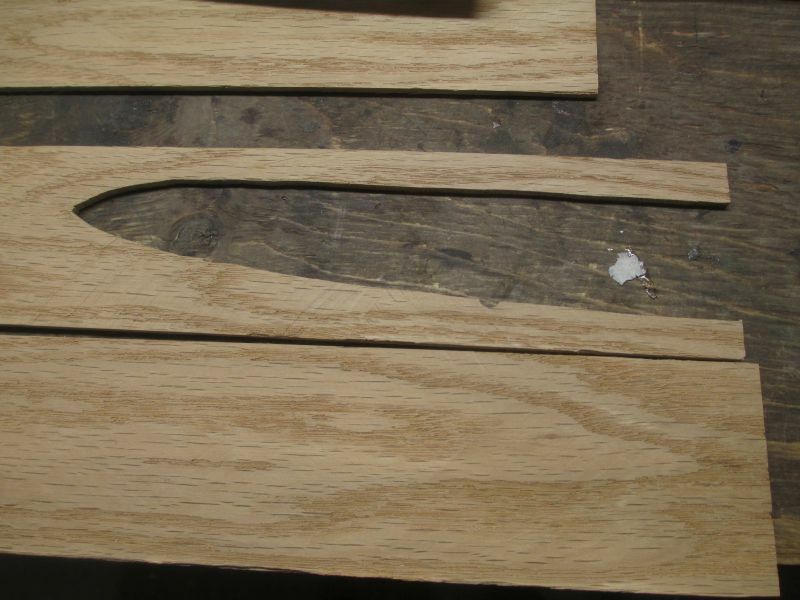 It's important to note that the middle piece should be approximately the same thickness as the thickest part of the knife blade. Now I have three pieces. 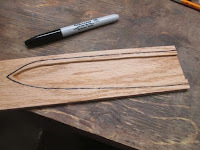 I pencil on them with A, B and C.
Now we want to trace the blade on to the middle section we marked as B. 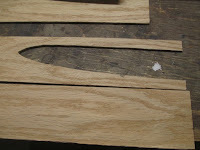 Here I have traced and cut out the blade pocket from the middle section B. Now to glue section B to section C. I used Gorilla brand indoor/outdoor carpenter's glue. Any good waterproof glue will work. 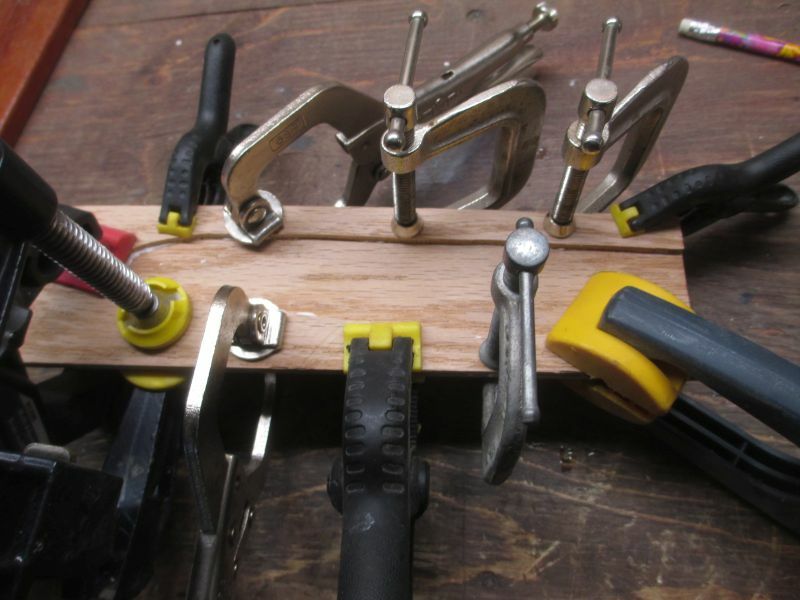 Apply the clamps with even pressure around the perimeter and wipe the excess glue with a clean, damp rag. 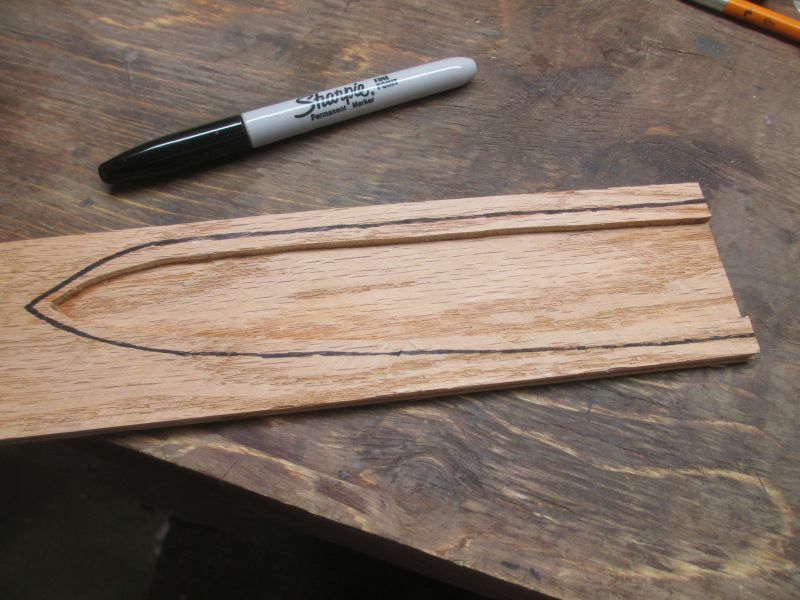 Once the glue is good and set (overnight) I mark about 1/4" outside of the pocket and cut this out. Here I have used a good old Sharpie to trace around the pocket. Leave enough room for gluing another piece and some finish sanding. 1/4" should be fine. At this stage you can add the pin hole. The pin hole can also be drilled near the end of the process. Either way works okay. 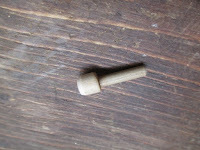 I use 3/16" dowel for the pin, so the hole is made slightly smaller at 5/32" or 11/64". See below for making the pin. Now cut just outside the line. This is what it looks like after pieces B and C are cut out. 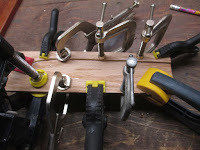 Now glue B+C to piece A and clamp. The last step is to cut the final shape from A+B+C. 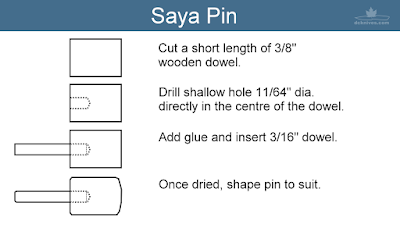 I will also drill the pin hole through piece A. 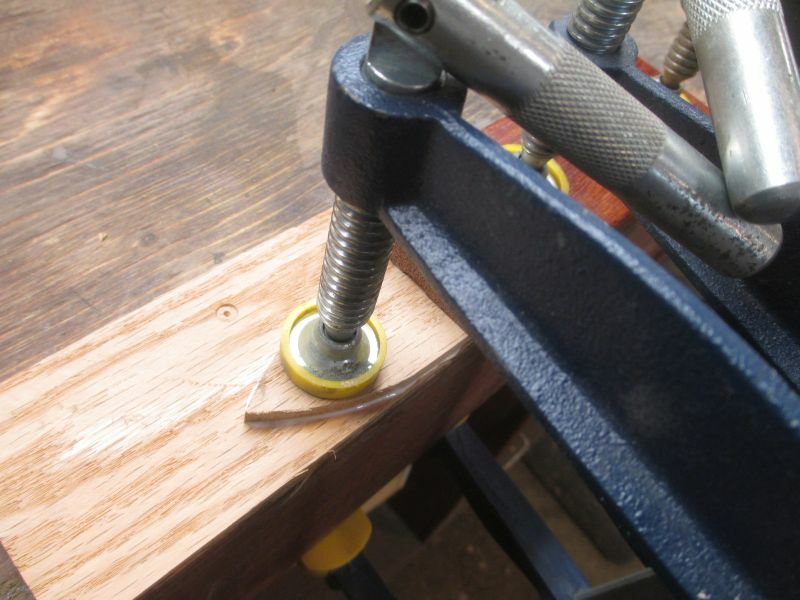 Hint: To prevent tear-out, stop drilling just as the bit point breaks through and then drill from the other side. Food safe oils such as white mineral oil will help to protect the wood. I like to apply two coats of mineral oil 12 hours apart, then several coats of tung oil. After the tung oil hardens, buff with a clean cotton rag. Thanks for looking. If you have any questions, please let me know. Very cool ! Thanks for posting this ! Man this is perfect. Thanks for everything you do! Happy that you found it useful.